Specializing in DAS Design and Engineering, Highland Wireless has teamed up with Engineers that are iBwave certified and that have years of experience designing Public Safety DAS and Small Cell Systems. It is important to understand the Fire Department’s standards when creating a DAS design. 3D Design: Generating an accurate model of the facility is essential to a design’s success. Building Materials, Ceiling heights, and inclined surfaces must be accurately drawn to ensure that the design is a correct depiction of the real building. 3D Design: Generating an accurate model of the facility is essential to a design’s success. 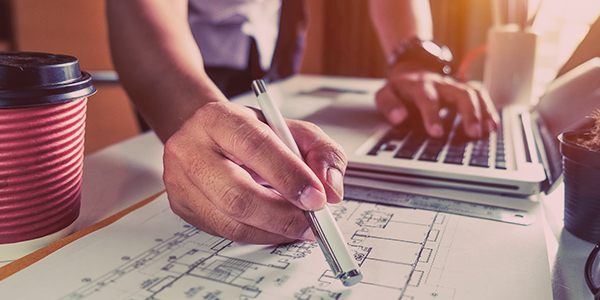 Building Materials, Ceiling heights, and inclined surfaces must be accurately drawn to ensure that the design is a correct depiction of the real building. Booster and Parts Selection: Our engineers review data sheets and pricing from multiple manufacturers to ensure a cost-effective solution that meets your needs. Equipment and supplies are thoughtfully selected based on pricing, quality and functionality. Design Analysis: Our RF Engineers are specialists at making the most of a system’s efficiency. Understanding and balancing the gains and losses in a system is essential to an effective DAS. Design Plan Development: Highland Wireless understands that aesthetics is important to our customers. We ensure maximum RF performance while keeping the aesthetics of your building in mind by carefully selecting appropriate supplies and providing the best antenna placement options. Interference Assessment: Highland Wireless has a great understanding of wireless technologies and how they affect each other. Our team understands that without the proper filtering, interfering signals can be detrimental to a system’s effectiveness. We test for interfering signals during our site survey and implement our findings into our design plan, which is unique for each facility. Plans processing with the local Jurisdiction’s building department is a crucial part of radio enhancement projects. Since Public Safety systems are considered life & safety, AHJs enforce NFPA code to ensure that they are designed and installed to meet the highest standards. Highland Wireless has teamed up with engineers who specialize in producing stamped Construction Sets ready for building department submittal. We are involved in the project beginning with the preliminary site walk and manage the project during each phase, all the way through inspection and close out documentation. Highland Wireless offers free pre-testing of signal strength levels as well as site surveys. If the facility is pre-construction, we can provide a quote based on floor plans. Please contact us today – we’d love help with your next project!